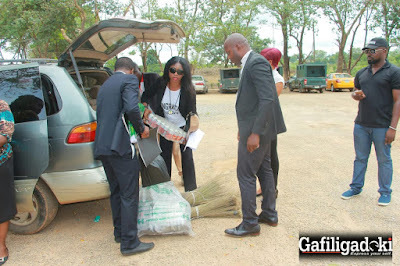 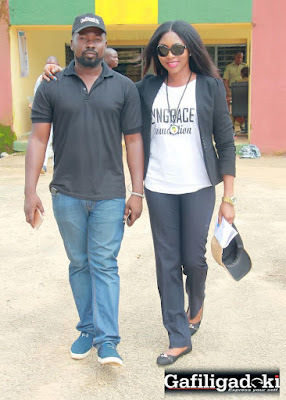 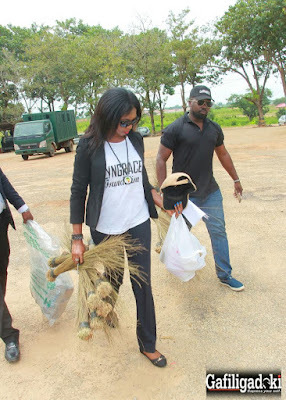 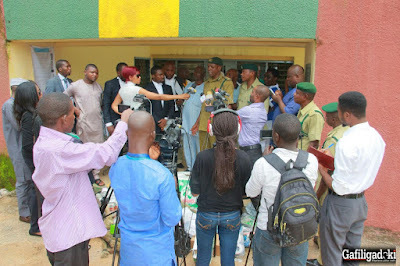 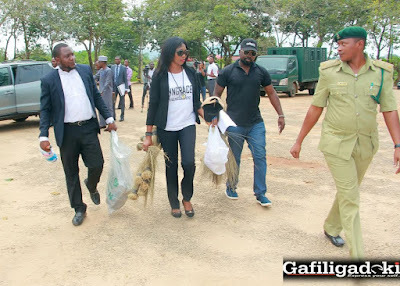 Abuja popular showbiz lady and Entrepreneur Linda Yusuf has added another feather to her charity drive with the impressive visit to Kuje Prisons, to share relief materials and other valuables to inmates. 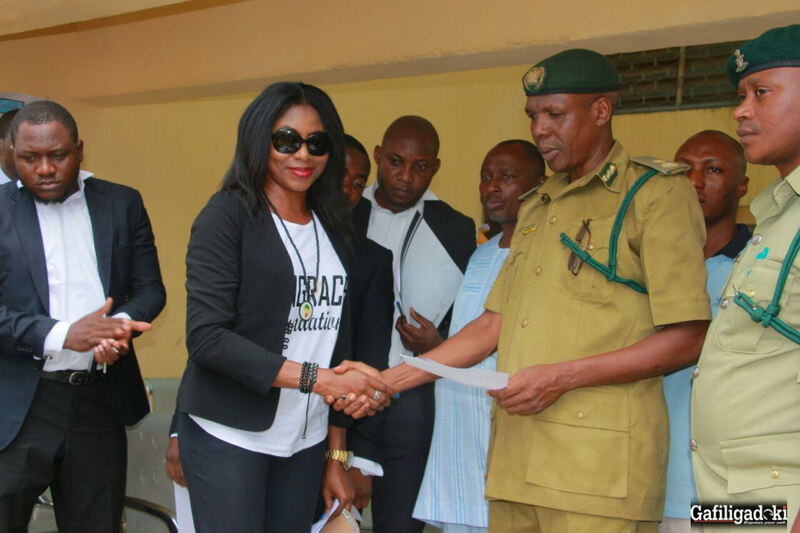 The soft -spoken Kogi‎ State born and award winning entertainment practitioner was received by one of the comptrollers of the prison. 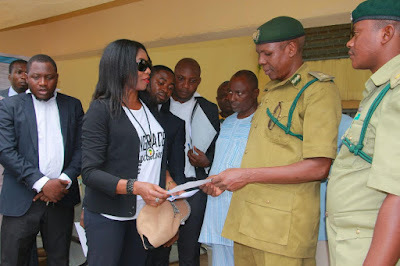 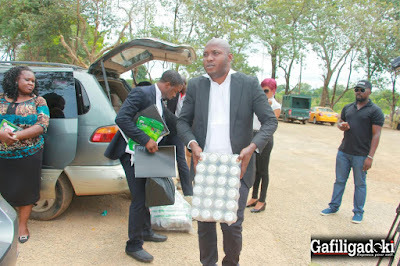 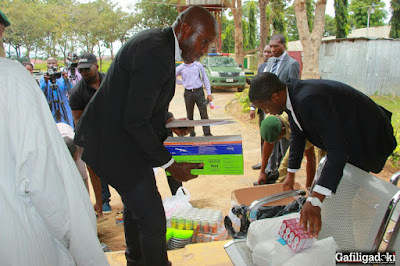 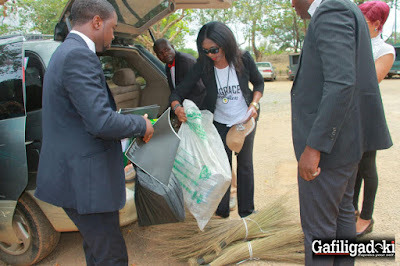 Her NGO 'Lyngrace Foundation' was also given an endorsement by KUJE PRISON, one of the notable prisons in the country after her display of this overwhelming benevolence.